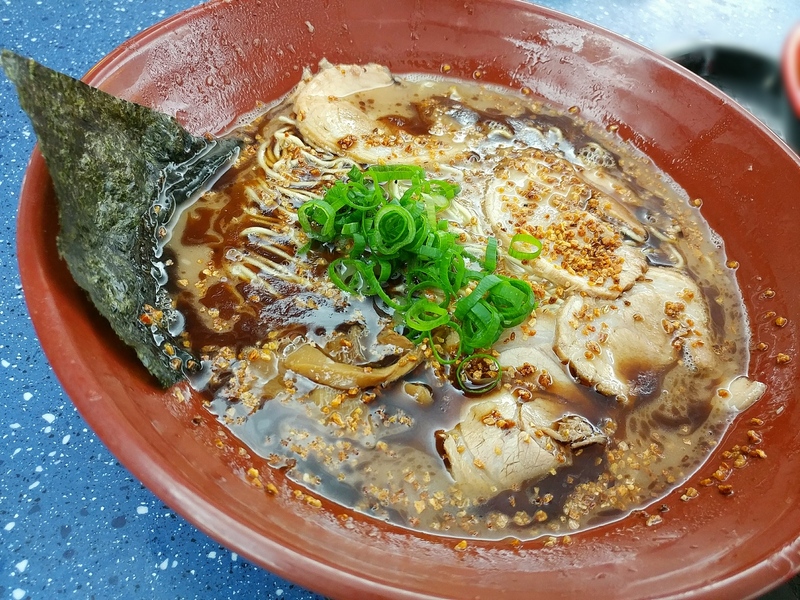 We had been past the Ikkairo Ramen storefront at the Underwood Marketplace when visiting Yuen’s Market in the same complex a number of times, and, always on the hunt for a good ramen, had intended to try it out, but always happened to be there not long after already having had a meal. One evening though, we finally got our act together and made it there for dinner. 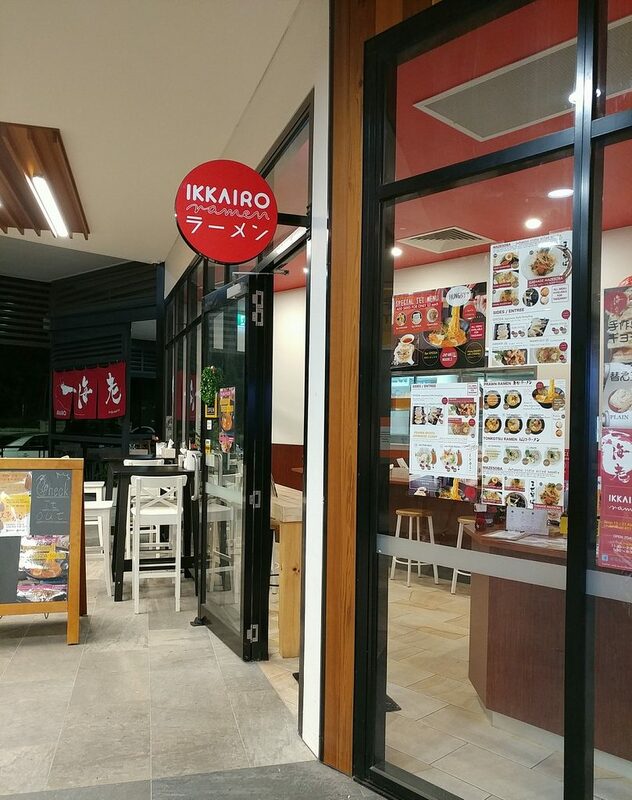 The store is towards the back of the complex, but easy enough to spot, with a round, red sign announcing “Ikkairo Ramen” hanging out into the walkway, and an A-frame signboard with pictures from their menu also outside. Out the front of Ikkairo Ramen, with visible signage and pictures of ramen. You come to the service counter as soon as you step through the entrance. 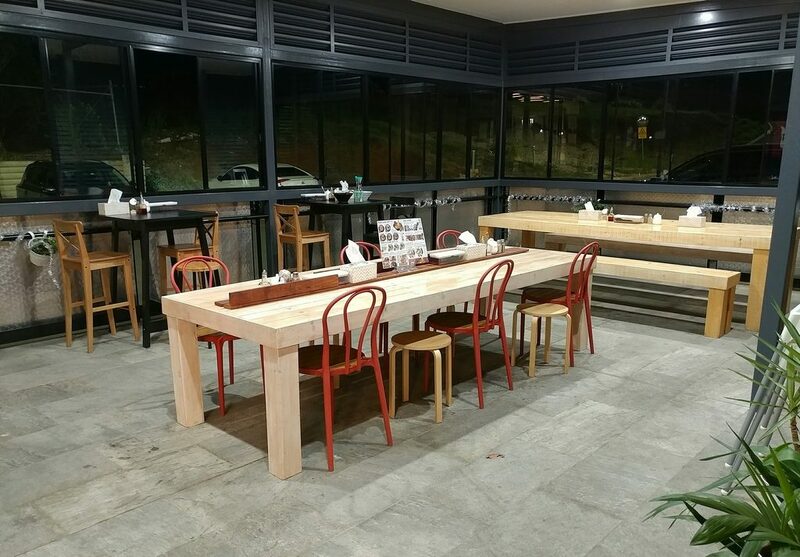 As in many other ramen shops (par for the course in Japan), you order and pay for your meal there, then find a seat. 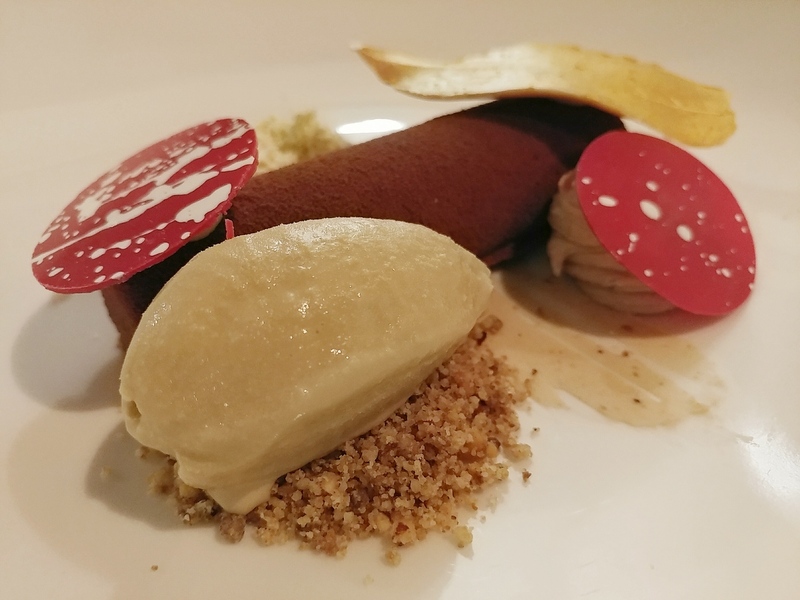 The menu is displayed on the countertop, again illustrated with accompanying pictures of the dishes, so you know what you’re going to get. 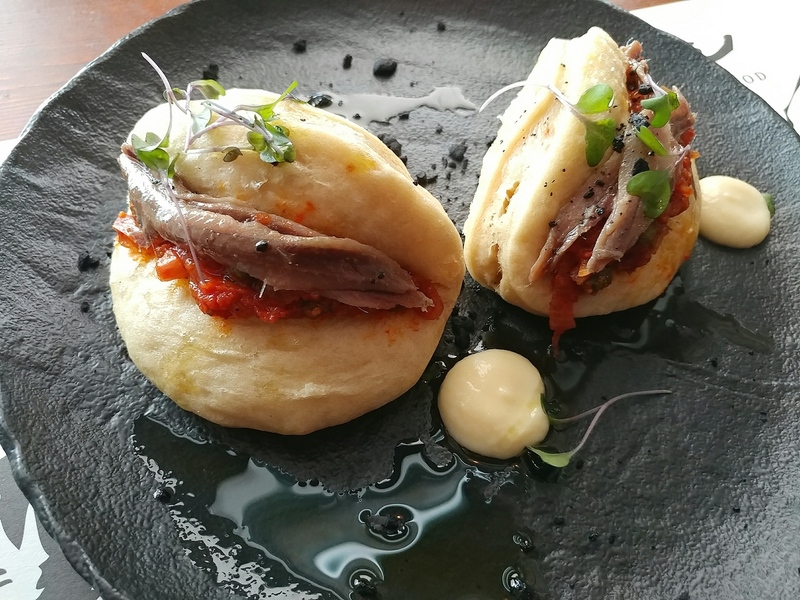 They also currently have a deal in which if you order a bowl of ramen, for $3 more, you can get three pieces of gyoza, two pieces of karaage chicken, or a small bowl of prawn rice. 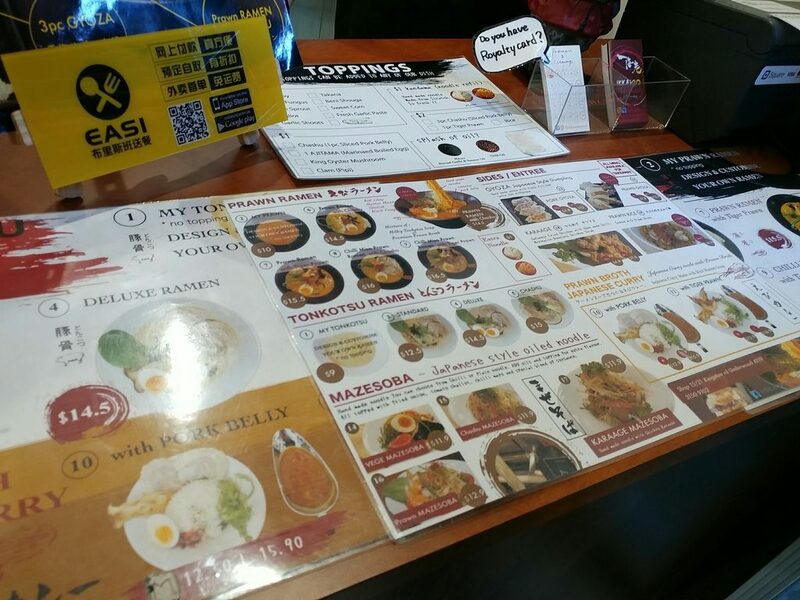 The menu of ramen (and non-ramen) options. Their point of difference from other ramen shops is their prawn ramen. While you can also get a more usual tonkotsu ramen, their prawn ramens have the addition of a premium prawn broth to the tonkotsu base. They also offer Mazesoba, noodles mixed with oils and sauces for flavour instead of broth. We ordered prawn ramen (of course) and tonkotsu ramen, and sides of gyoza and karaage chicken. 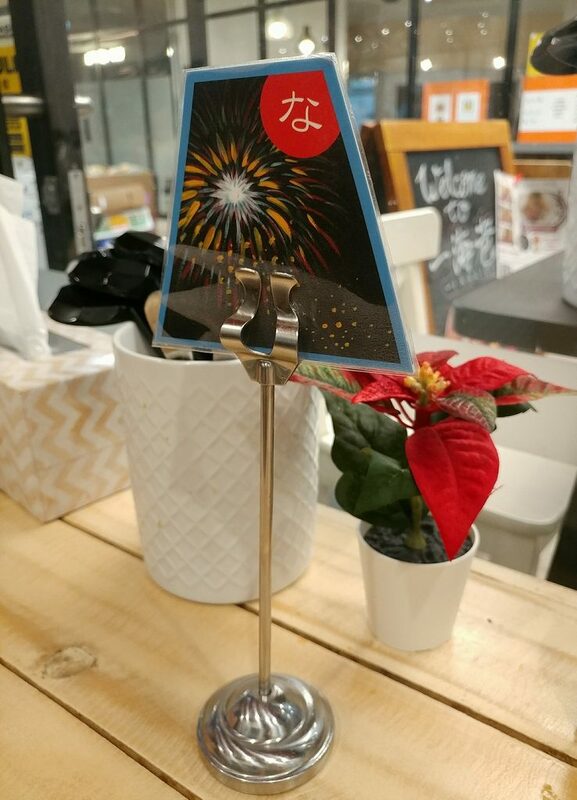 They have an assortment of little placeholders with graphics of Japanese arts, like pottery, kites, and fireworks, and we were given one to take to the table we eventually decided to sit at. One of the table markers. The inside footprint of the store is quite compact, with counter seating by the window, or facing the kitchen. 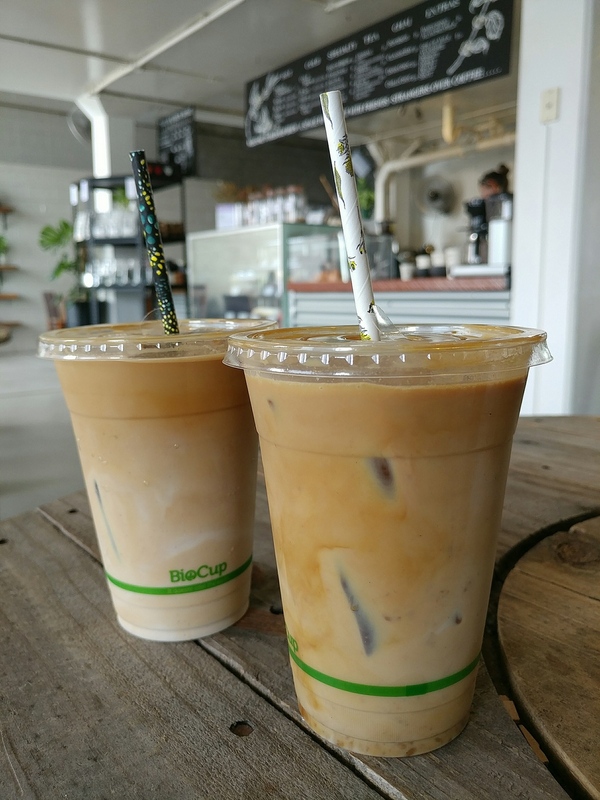 There is more seating in a covered area outside though, with communal style long benches as well as smaller tables that will fit two. 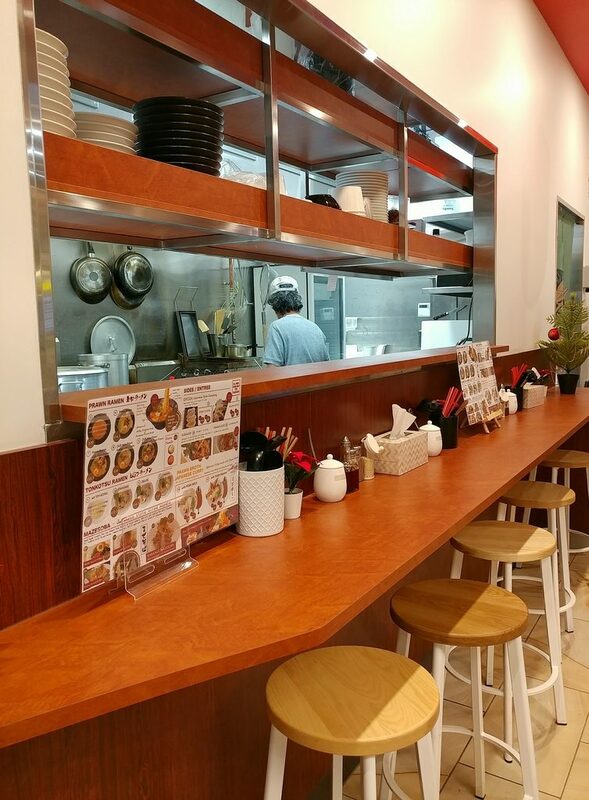 Some of the interior of Ikkairo Ramen, and a glimpse into the kitchen. 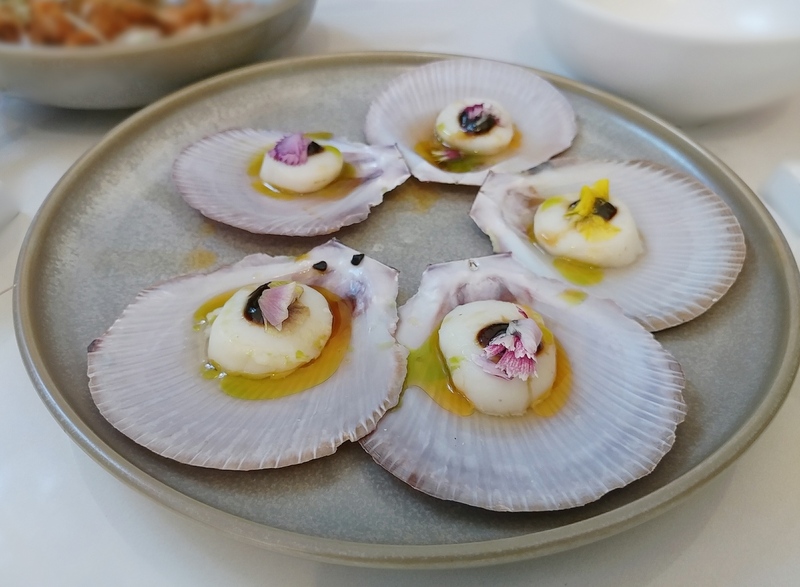 All the usual accoutrements are at the tables, of course, like pots of spoons and chopsticks, boxes of tissue paper, and sesame seed grinders and chilli oil. 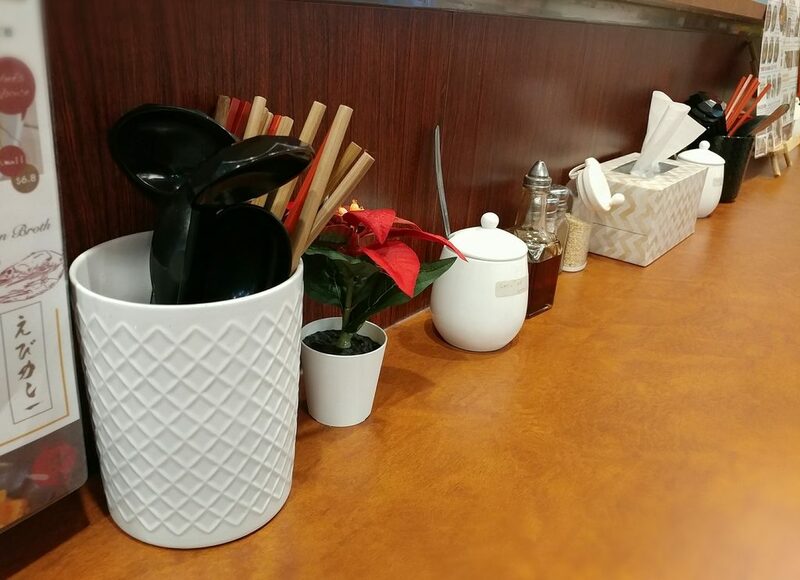 The things on the table you will need for your meal. The Prawn ramen with charsiu came with two slices of pork, half an egg, and sliced black fungus. It was a vivid orange, and had a distinctly seafoody aroma when brought to the table.The broth was definitely prawny, like a seafood bisque. 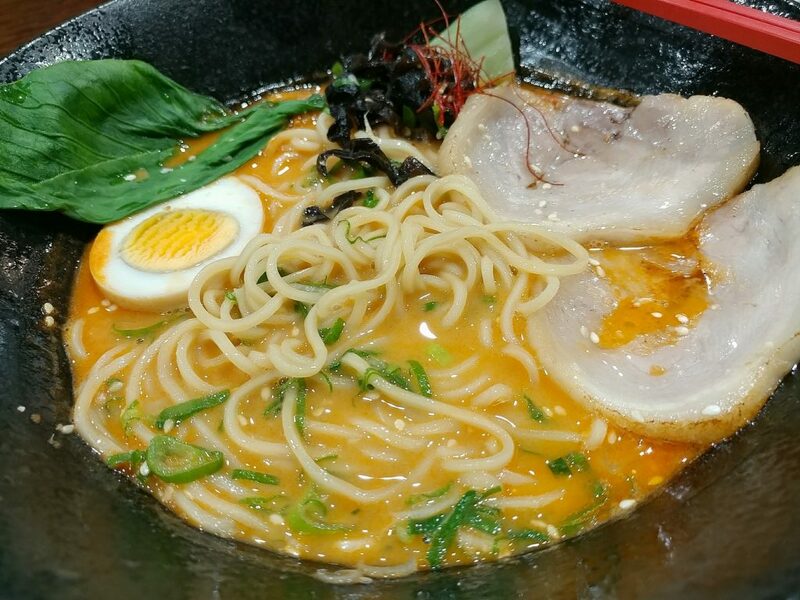 It was creamy from the tonkotsu base, and had an underlying mild sweetness. The noodles were thin and chewy, but didn’t quite have the springiness of some other ramen eateries. The egg had a solidly boiled yolk instead of the gooey yolk you want from a nitamago egg. The pork was thinly sliced to a couple of mm thickness. 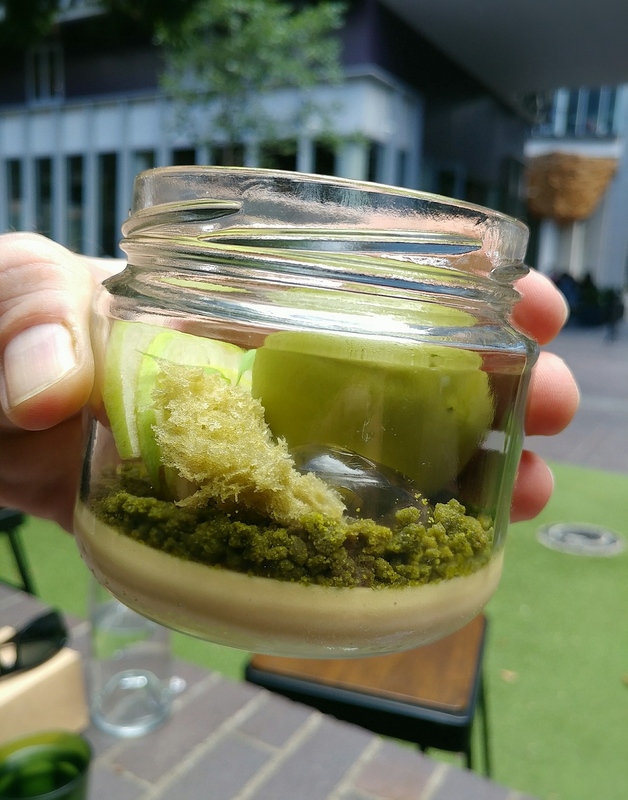 It was supple and tender, but didn’t really seem to have a smokey or roasted flavour of its own. 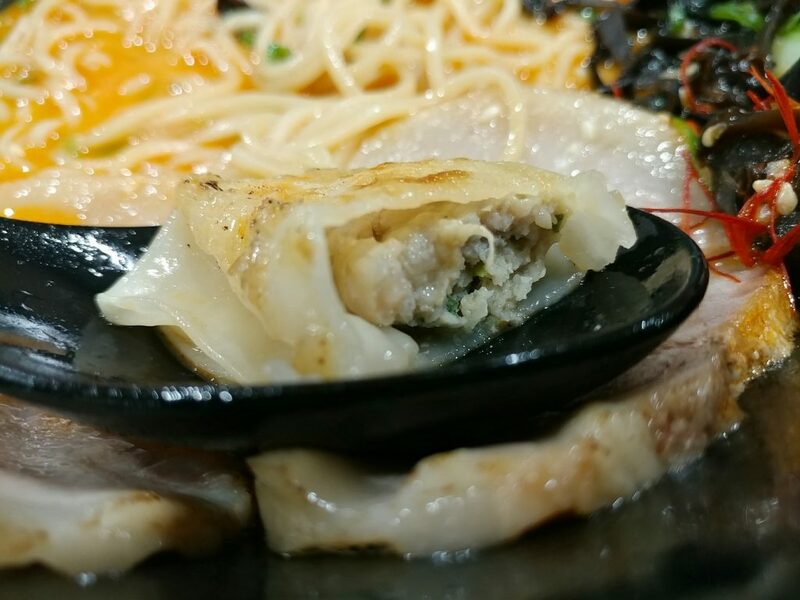 The black fungus added an interesting, crunchy texture. The prawn ramen with char siew. A closer look at the pork slices. The ramen a bit more mixed in, and now you can see some noodles. The Tonkotsu Deluxe ramen had two slices of pork, two half eggs, and sliced black fungus. 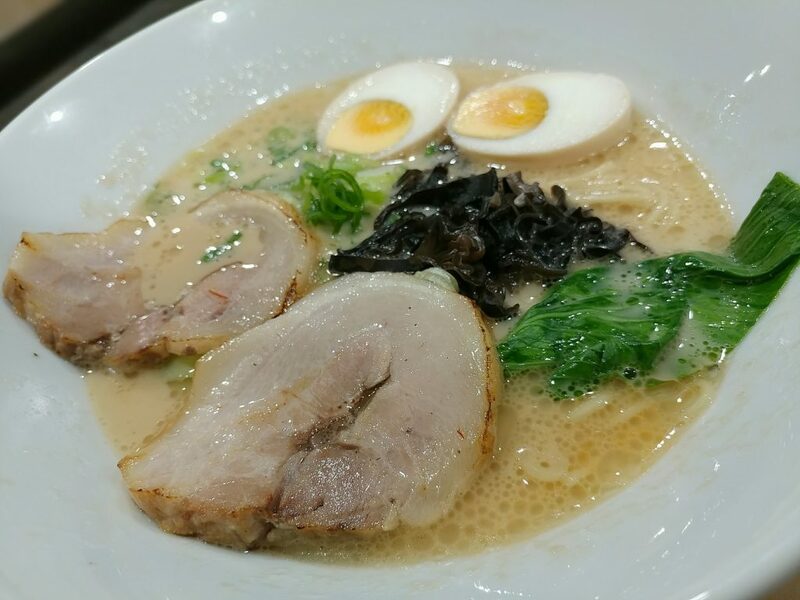 The tonkotsu broth was smooth and creamy, and was not too gamey or porky. It was only mildly seasoned though, so didn’t really have a flavour punch. The comments for the other components are the same as for the Prawn ramen. 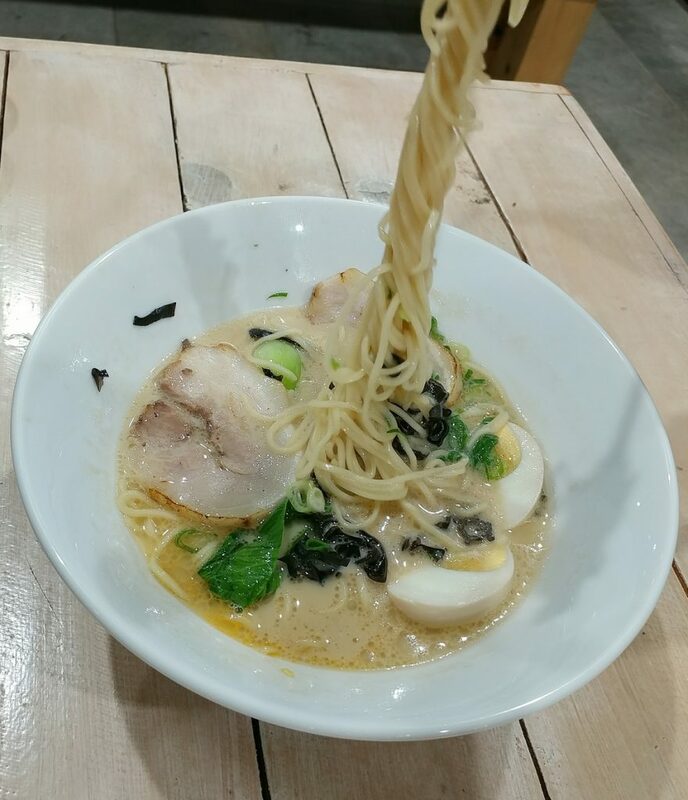 The Deluxe Tonkotsu ramen. Overcooked eggs again. 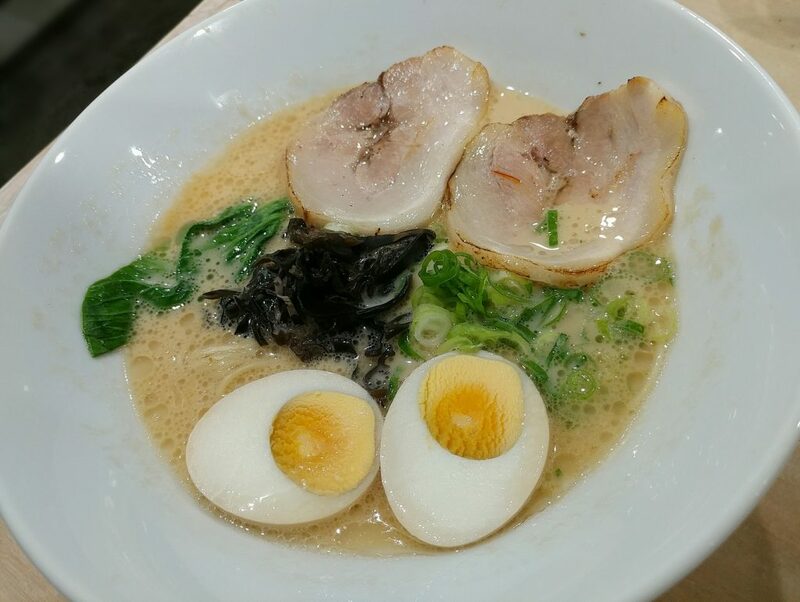 Another look at the tonkotsu ramen. 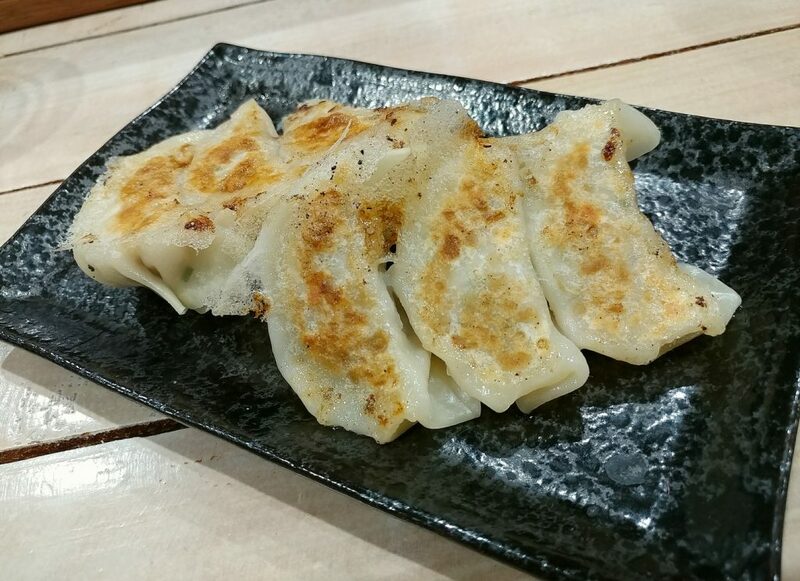 The Pan fried gyozas had thin skins, and a pork and spring onion filling that was nicely seasoned and tasty. The Karaage chicken looked different from what we expected, the batter a brighter orange than usual, and seemingly quite a thin layer. 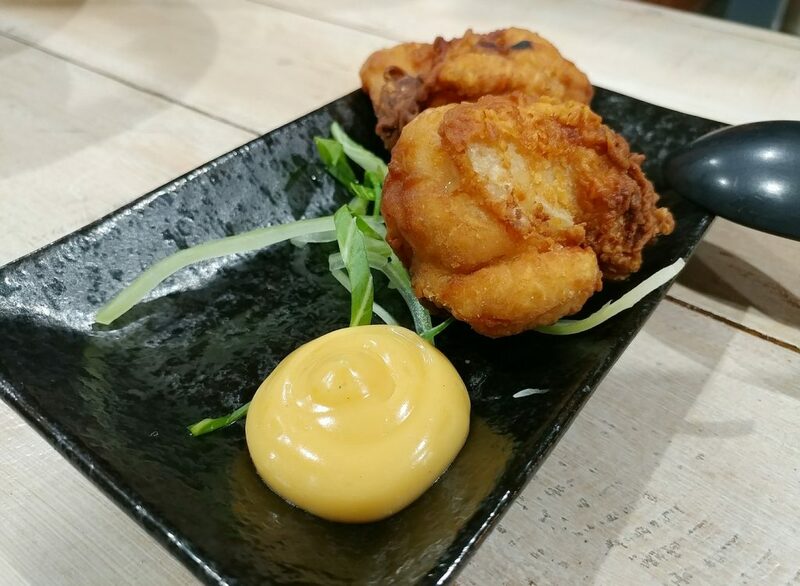 It turned out to be moist, tender chicken meat with a crunchy outer coating though, and satisfied the texture and flavour one would want from karaage chicken. Overall, Ikkairo ramen did a strong, seafoody prawn broth. If you like bisque, you will appreciate this. The tonkotsu broth could have been more flavourful. Where more notably fell a bit short though, was the other components in the ramen bowls. 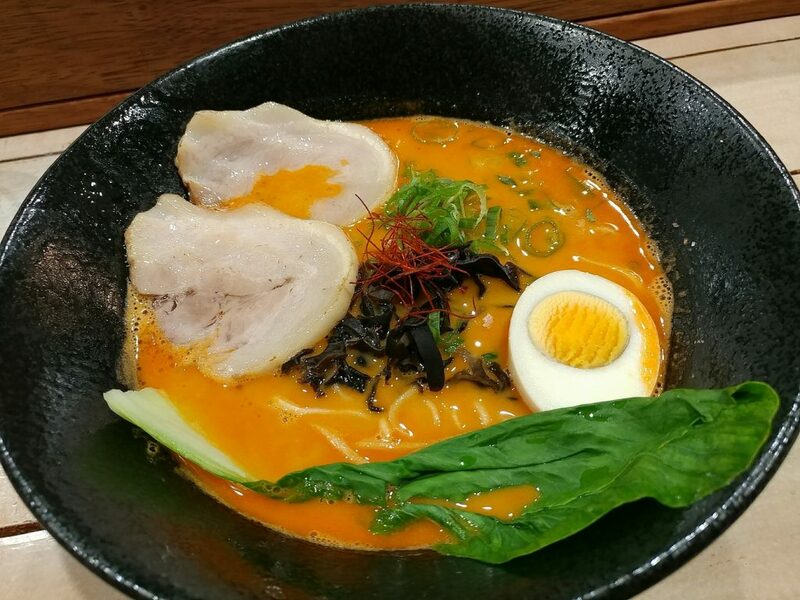 In a good ramen, all the components have to be done well. Getting even just the broth right is hard, but to stand out, you have to get all the other elements right too. Unfortunately, at this point, it’s not enough to get us to go back to Underwood specifically to eat there again. Price point: Prawn ramen $14.50 to $16.50 per bowl. 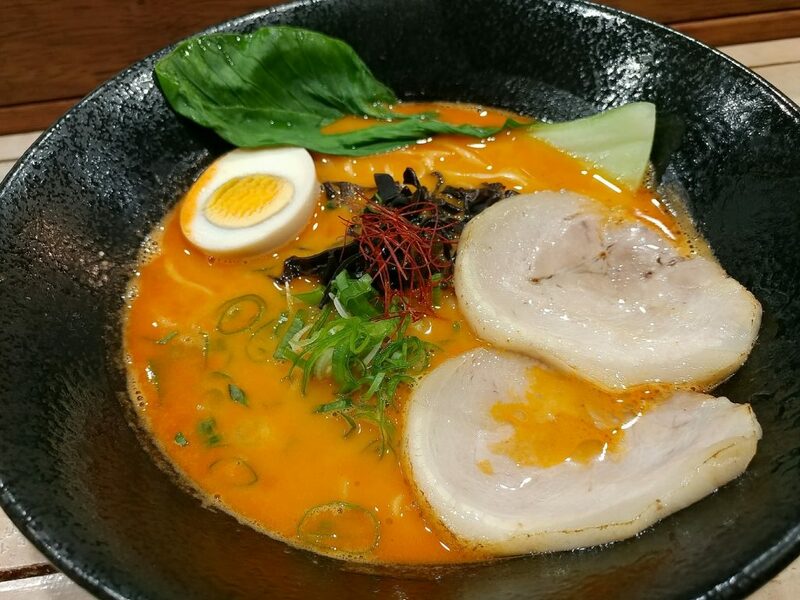 Tonkotsu ramen $12.50 to $15 per bowl.